Pricing is hourly, based on the number of team members assisting the client and the service(s) selected. We will work to accommodate almost any budget. 2 Projects for Chaos to Calm, Inc.
5 Reviews for Chaos to Calm, Inc.
Jason N on February 27th I hired Chaos to Calm to help declutter and remove several rooms of misc furniture etc.. One piece was a 400lb rear projection TV that they had to take apart to get down the stairs of my house. Their crew of workers were on time, professional and hard working. I would refer them to anyone. Chaos to Calm – The name says it all. What a tremendous gift to folks on the move. Very professional, thorough and competent! From initial contact through removal of last box – we could not ask for anything more helpful. After this tremendous experience, we can’t imagine anyone trying to do all this on their own! It made our move into our new home so very smooth and comfortable. We will recommend this group to all of our friends. Thank you so much for your kind words – we were so happy to be able to help you with your move. And we wish you nothing but good health and happiness in your new home! I am an Elder Law Attorney who has hired Chaos to Calm (CTC) several times over the past few years. CTC assists my clients and their loved ones with the various transitions in life. I most recently hired CTC in transitioning an individual from their home to assisted living. They measured the new room, measured furniture in their current home, then helped choose the furniture to move to make their new home more like home. 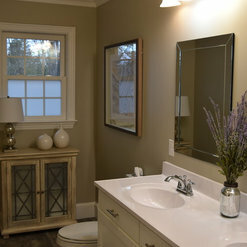 They packed the home, unpacked and placed items in the new location - even pictures on the dresser and walls! Their work is an invaluable resource in the community and their level of concern and care for their clients and families goes above and beyond most expectations. Thank you Marjorie! We love serving you and your clients. I used Chaos To Calm to organize several areas in my home. The team was wonderful to work with, very professional, and made me feel very comfortable about my very disorganized areas. I was a little embarrassed to let them see it, but they were understanding and knew just what to do. They seem to really enjoy what they do and it shows in how they treated me and each other. They made it so easy for me to stay organized. 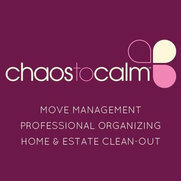 I would highly recommend them to anyone looking to get help with organizing around the house. I know they also do moving and packing and staging. When I am ready for that, I will definitely be using them! Thank you Elizabeth! We loved working with you and helping to bring CALM to your home. I used this company to manage my move from one house in Sherwood Forest to another in Landsdowne. What a mistake! They packed items from different rooms into the same box. Boxes were poorly or incorrectly labelled. On move day, items were placed in the wrong rooms, and I mean most of the boxes, not just a few. I paid them $9,000 and am completely dissatisfied with their service and would advise people to choose another company. The end result was chaos. Boxes are scattered all over my house and I need to open each one, determine what's in them, and move each of the items to the correct room. Chaos to extreme Chaos! What makes it worse is that I have Parkinson’s Disease and am unable to help my poor wife move everything where it should be. I contacted the owner, Lori Fike, and she could care less. Not only has she not offered to remedy anything, she refuses to discuss the situation. She didn't want to face me, but suggested we leave the final check on our front porch in a plastic bag so she wouldn't need to face me. Very unprofessional! As hard as we try, we are human and make mistakes. While mistakes are inevitable, quite frankly they just stink all the way around. There were services we provided that the Prewitts were extremely pleased with. Unfortunately, there were a couple of areas where we simply fell short. We could and should have done a better job than we did. We deeply regret that. 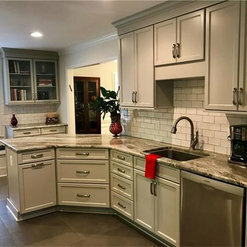 Since our inception in 2013 we have served over 200 clients in the Charlotte area. This is the first (and only) negative review we have ever received. We love what we do and this review was gut-wrenching for everyone at Chaos to Calm. We have met with Mr. Prewitt and his wife Divina, listened to their issues, apologized and refunded 100% of the money they paid for the services they were dissatisfied with. As a team we have reviewed their complaints, discussed what we could have done differently, and implemented process improvements to ensure we are better going forward. We sincerely hope that the Prewitts are enjoying their new home and wish them years of good health, good times, love and happiness there. If you would like to see what other clients say about their experience with Chaos to Calm please take a look at our Facebook page (www.facebook.com/chaostocalmrelo), BBB (we have an A+ rating), or Google. We also welcome your questions if you’d like to contact us directly. 2 Ideabooks for Chaos to Calm, Inc.